Looking for a top-notch Audi service center that specializes in maintenance and repair for your vehicle? Our Audi service center has the latest tools and software to fix any Audi model that comes our way. Don't bother scouring the internet searching for "Audi services near me" Audi South Orlando is conveniently located and easy to get to. Visit our location for a tune up or test drive the latest model of the A4. Why choose Audi South Orlando? Not only will your vehicle receive the highest level of quality and care, you can kick back and relax while we take care of the rest. 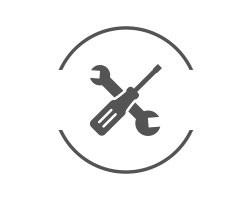 Thanks to our advanced tools and technology, we can quickly and easily diagnose exactly what's wrong with your vehicle. If we don't have the parts we need to fix your Audi and get it up and running, we can easily order them directly from the factory and ship them in a matter of days. Don't risk taking your Audi to a generic auto repair shop, bring it to a service center with highly trained specialists. What's more is that we provide our customers with a comfortable seating area with refreshments and entertainment to help pass the time as we get your vehicle back in working order. If you have any concerns regarding your vehicle's repairs, our friendly and knowledgeable staff is happy to answer all of your questions. 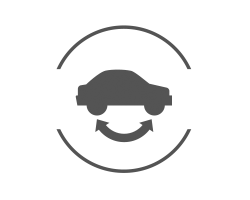 What areas does Audi South Orlando Service? Audi South Orlando is here to service Sanford, Winter Park, Lake Butler, and of course, Orlando. 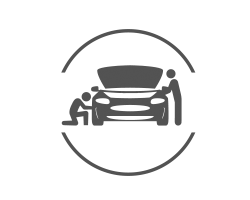 Our service center is conveniently located to take care of all Orlando's surrounding towns and communities. Does Audi South Orlando offer financing? Absolutely! If you need help financing a new Audi vehicle after yours has been totaled from an accident or you need help taking care of some much-needed repairs, our financing team can help you get the best deal possible. If the repairs are too much, or you're simply ready to upgrade to the latest Audi model, we'll purchase your current car and get the paper work started on your next Audi! We are centrally located at 4725 vineland Road Orlando, FL 32811 so come pay us a visit. Our Audi service hours are Monday through Friday 7:00 am to 7:00 pm and 7:30 am to 5:00 pm Saturday-we are closed on Sundays. You need to rotate the tires on your Audi to maintain even wear from front-to-back and side-to-side. Having your tires rotated at Audi South Orlando on a regular basis will ensure they last as long as possible.